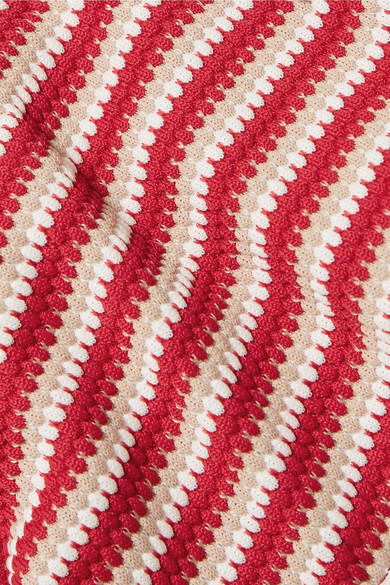 Peony's bikini briefs are knitted from the sustainable brand's custom jacquard in stripes of red, white and beige. They're cut high to create the illusion of longer legs and offer medium coverage. Wear yours with the coordinating top or choose one from our edit in a clashing color. Wear it with: Le Kasha Skirt, Cesta Collective Bucket bag, Common Projects Slides, Illesteva Sunglasses, Hampton Sun Skincare, Paola Vilas Ring, Chan Luu Necklace, Chan Luu Necklace, Magda Butrym Necklace.